I’ve been planting vegetables in our little garden beds and in our new bigger garden space. 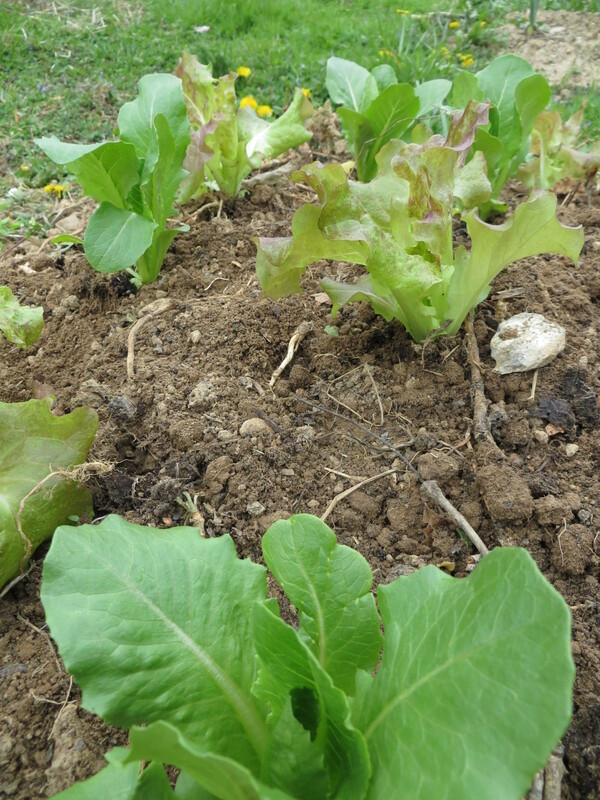 Carrots and lettuce direct seeded in the little garden. Though I forgot to plant the beets, will get to it this week. Last week, I set out onions and cauliflower that I started in a greenhouse. 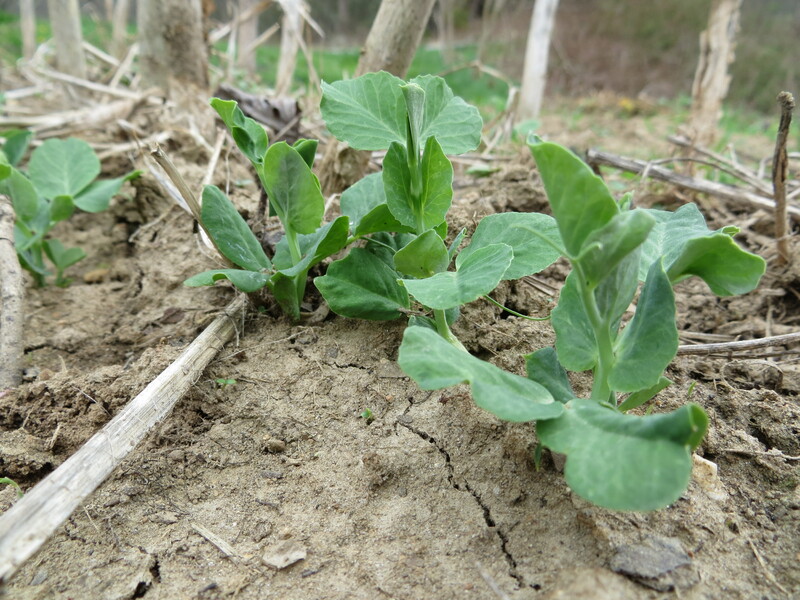 The peas are coming along nicely. As are the garlic and walking onions. I love the walking onions, which I planted a year and a half ago (a gift after a friend’s wedding). 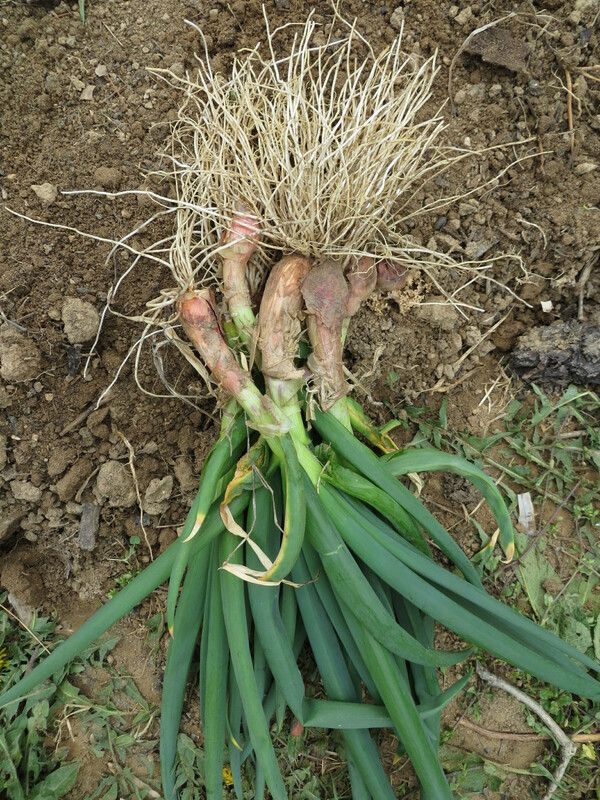 They are almost a year-round crop — you can pick them as green onions or as larger (but still small) harder onions. They do not keep, but that is not a problem since they are nearly always yielding. 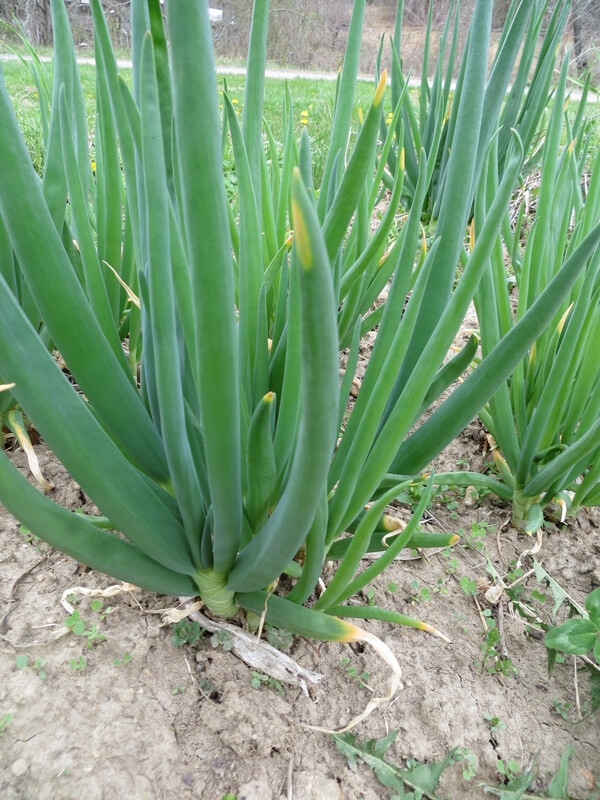 They reproduce small onion sets at the top of a stalk. The stalk falls over and “plants” the new sets. The only chore is to keep the patch weeded and sometimes space the little onion sets more uniformly. We made a pizza the other night with onions and garlic from the garden, Italian sausage from the farm, and cheese from the local creamery. Delicious! This week, it is getting colder. 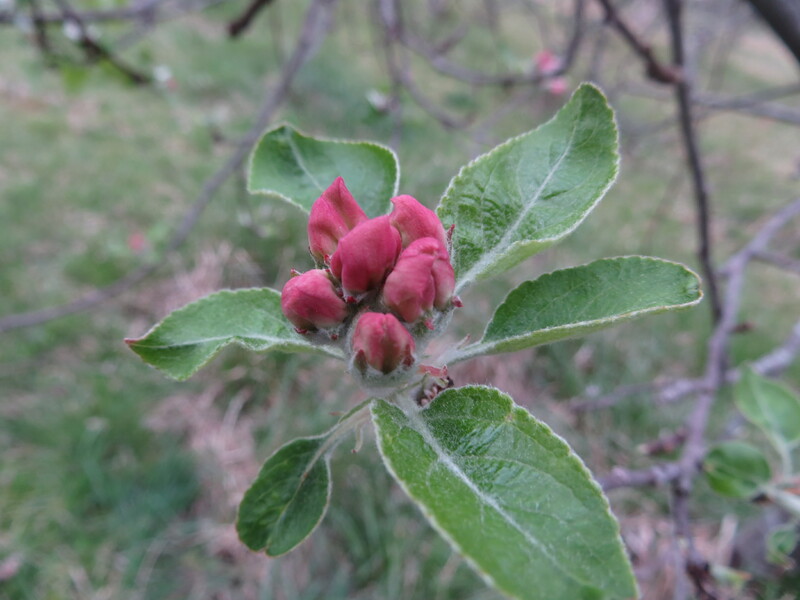 I am a little worried about the fruits that have started to blossom, or are currently flowering. It may get cold enough to kill some or all of them. We’ll have to see. But, we will be planting potatoes and beans this week, when it warms up a little. We also need to clean out one or two garden beds for future crops. I am excited to be getting back into the garden! 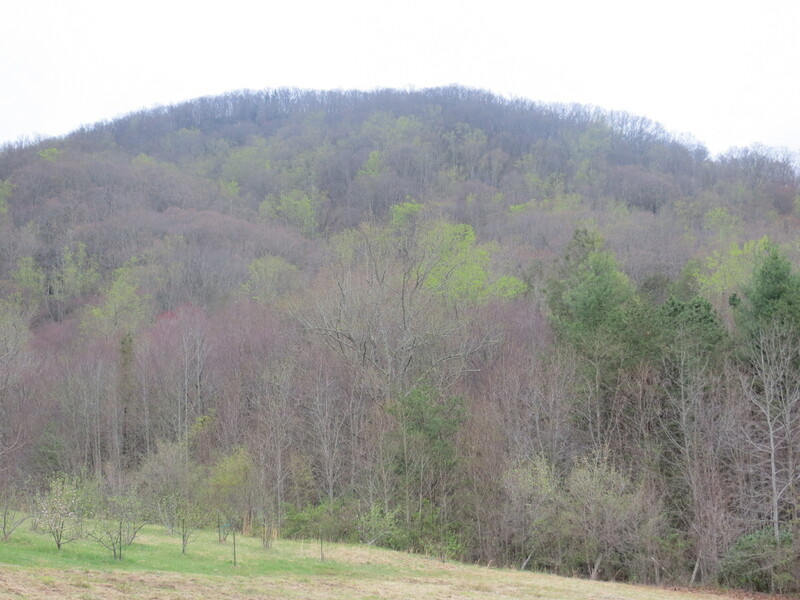 The mountains get a little greener every day as trees start to leaf out. 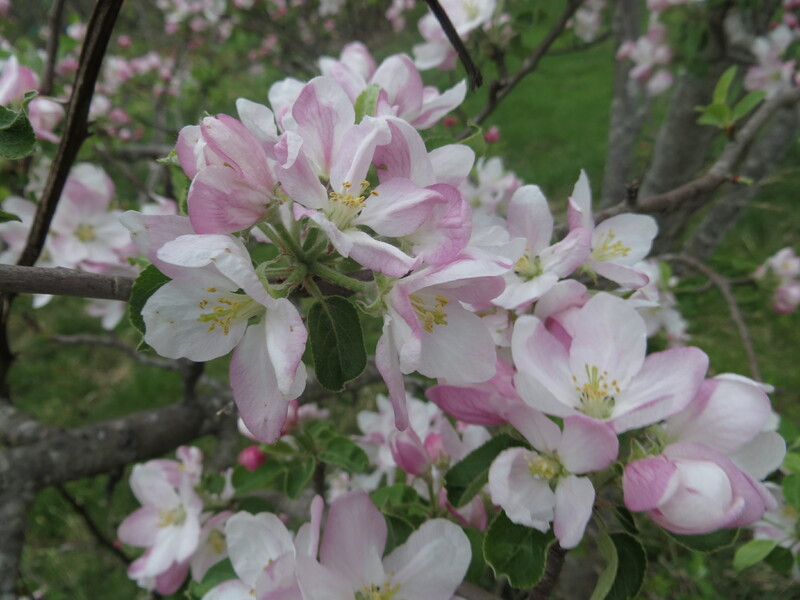 Dogwoods are just starting to bloom and at least one variety of apple is in full bloom in the orchard — others are, what is called, in the pink.